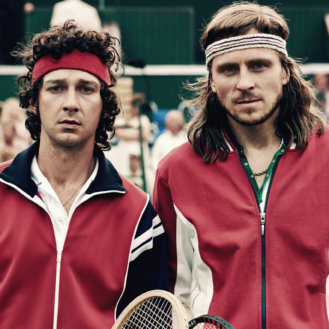 I liked Craig Johnson’s indie The Skeleton Twins, but it’s a stickler of a movie to justify. It hardly has a narrative except when it peppers in a loose story towards the final leg, and it’s a character study that’s light on characterization. To say it’s either one or the other doesn’t feel right. Without the film’s stellar leading performances, The Skeleton Twins truly would be floating. Johnson has recruited Saturday Night Live alumni Bill Hader and Kristen Wiig to try their hand at more dramatic material. They’ve shown fantastic rhythm in broad sketches on the weekly television show and their chemistry worked wonders in Greg Mottola’s coming-of-age film Adventureland, where they played romantic interests. In The Skeleton Twins, Hader and Wiig play siblings with dysfunctional childhoods. They were exposed to suicide at an early age, and that darkness has influenced depression and the way they see the world. After Milo (played by Hader) attempts to kill himself and is caught, he’s admitted to a hospital where his sister Maggie (played by Wiig) takes him on a mini-vacation back to their childhood homestead. It’s here where past flames and memories are trudged up, and the dismayed twins learn more about each others’ unspoken adulthoods. The story that proposes itself late in the game is Milo’s connection to a man named Rich (played by Modern Family’s Ty Burrell in a role that challenges those who choose to typecast him). When old thoughts and ideas enter Milo’s head, he seeks out Rich. Meanwhile, Maggie has a hard time staying committed to her elegant and awkward fiancee Lance (played by Luke Wilson), and finds herself giving into adulterous temptations. You’re never bored watching The Skeleton Twins because the actors are able to keep us invested. Most of the credit goes to Hader and Wiig’s terrific camaraderie and their ability to push themselves in a creative direction that additionally calls on them to dig deeper into their own empathetic behaviours. The audience may find themselves irritated by Milo and Maggie, but those naysayers will certainly admit that the decisions and motivations are true to the characters. Johnson has lots of memorable moments in his movie that allow his actors to improvise in order to find a scene’s sweet spot. A giggly back-and-forth in a dentist’s office has Hader and Wiig freely joking around with each other, while we laugh at how comfortable they are in each others’ company. Another highlight is when Milo serenades his sister with a lip sync rendition of Starship’s “Nothing’s Gonna Stop Us”. Characters realize how screwed up they are and they embrace their flaws, but they understand the real challenge is figuring out how to move on. There’s nothing concrete or substantial to The Skeleton Twins’ concluding scenes, suggesting that the chances of relapsing are foreseeable. That ambiguous decision may bother movie goers who want the movie wrapped up in a billowy bow, but I believe everyone will agree it’s a fate that suits the dysfunction accordingly well. The same can be said about the film itself. 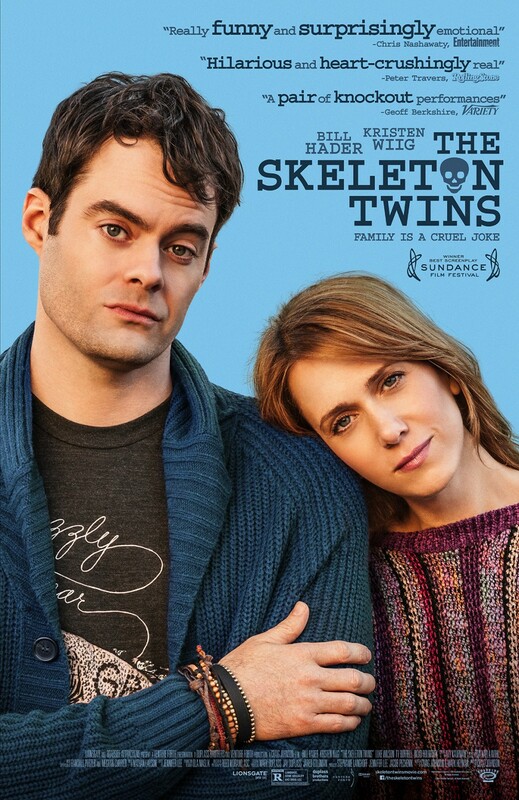 The Skeleton Twins is as unique as Milo and Maggie. And while the presentation may not be picture perfect, it’s bravely consistent to its one-of-a-kind identity.